"A photograph is the pause button on life"
Having a photographer at your birth to capture quality photos of those once-in-a-lifetime moments is a decision that you and your extended family and your child will always treasure. Birth photography also gives you as the mother an outside perspective on the poignant moments in the birth process, assuring that you won’t miss a memory. As your photographer, I find ideal angles that showcase your labor of love as you work to birth your baby and then embrace him or her for the first time. A birth photographer frees your partner and close relatives to be involved in the birth experience, rather than having to take pictures themselves. Loved ones then get to be included in the pictures, documenting their important roles in this milestone event. Why should I hire a professional birth photographer? You may be thinking, "Can't just anyone snap some pictures at my birth?" Your child's birth only happens once. If an amateur is taking pictures here and there for you and she screws up at the moment of birth, those memories are lost forever. You wouldn't want a novice to photograph your wedding and only cross your fingers to hope he gets some good pictures. Same with birth--you want to know for sure that you will have quality images to remember forever. As a professional photographer, I have invested in camera gear that can handle low-light birth situations. Also, since I am a doula as well as a photographer, I am very familiar with the process of birth, so I know what shots to anticipate next just by responding to your automatic labor cues. 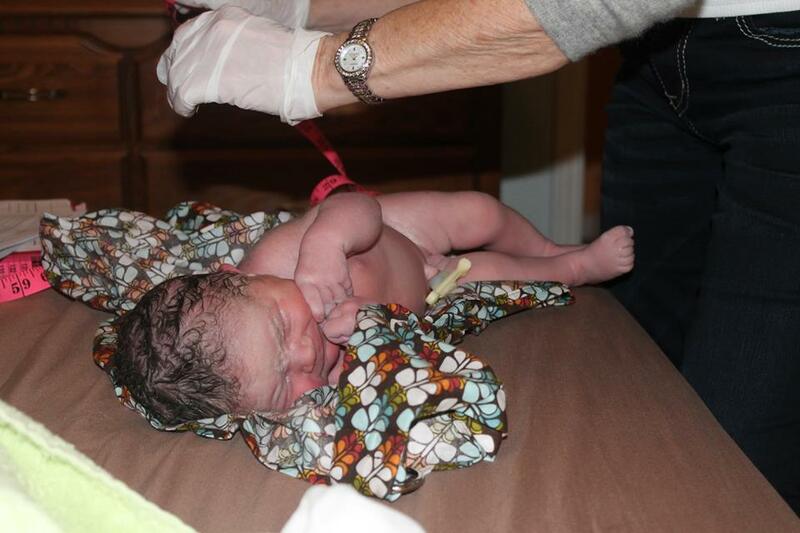 Women in labor need to have as few distractions as possible, so that is why I never use flash in my birth photography. I glide quietly around the edges, photo-journalistically capturing moments. I do not want you to pose, nor will I ask you to do so (aside from for a family shot when all is said and done). You get to focus on birthing, while I focus on capturing your love. Which type of photo do you want to be your baby's first announcement? Or by Melanie Ellison Photography? "My husband and I knew that we wanted photos to document this big life event, but little did we know how important those photos would end up being to me. Due to exhaustion and severe blood loss most of my daughter's birth is just a blur to me. Later, as I tried to reflect on her birth I realized I could barely remember anything! It distressed me to be missing those precious memories! But when Melanie brought over all the pictures she had taken it helped me unlock memories I couldn't find before, and piece them together with the few moments I could remember to form the full picture in my head. 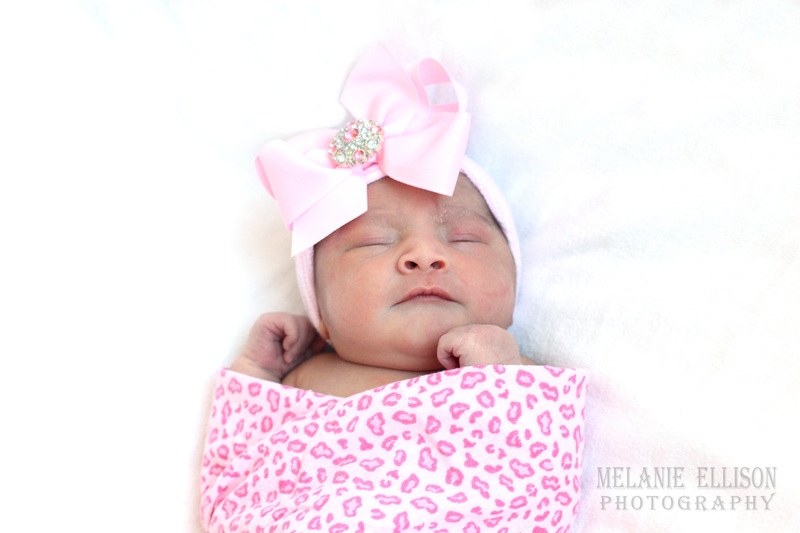 If it weren't for Melanie's pictures a huge portion of my daughter's birth would be lost to me! I am so grateful she saved those precious moments for us, forever!" I go on call for you 24/7 from 2 weeks before your due date until the time of birth. Covers active labor through 1-2 hours after birth. Birth announcement delivered within 24 hours for sharing online. All the final digital images (usually around 70-80) with the rights to print them. As your photographer, not only am I there for your labor and birth but I also invest hours and hours behind the scenes editing the photos so you have the best results. Full or partial (for several friends to pitch in together) gift certificates available upon request. Birth photography makes a wonderful baby shower gift.